As with most businesses, libraries use statistics to justify expenses, to monitor the library’s expansion and to predict prospective developments. This article describes SQL and shell techniques for data retrieval as well as further processing of the data using the open source statistical environment R. The article emphasizes some of the pitfalls and reasoning errors librarians could easily slip into. Having an academic background on statistics, the author is appointed to projects and tasks which need mathematical and statistical methods to be successfully accomplished. 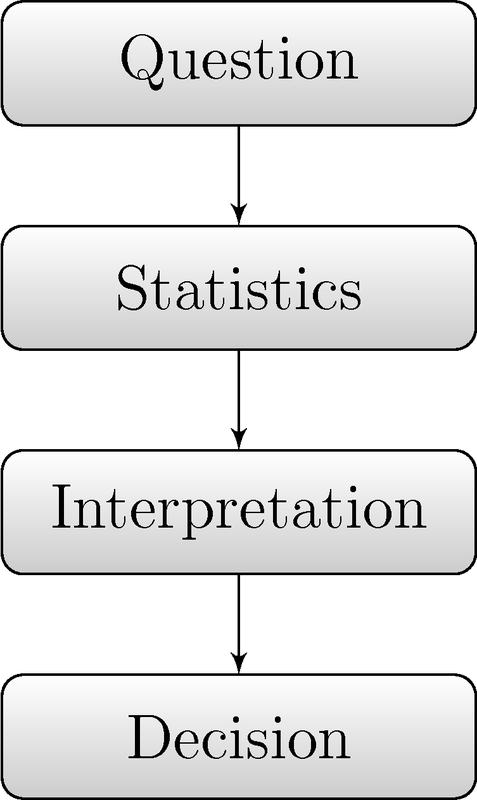 Furthermore, evaluation of the periodic statistics should be done on a regular base, checking why the statistics were requested in the first place, what matters for these statistics and if the statistics are still required. In publications of all kinds, one often finds statements such as “In 2007, there were 361 deadly traffic accidents in Switzerland, this is an increase of 6% compared to 2006” or “Graduate students borrowed 361 items from the library this month, which is an increase of 6% compared to last month’s 340.” Such a statement seems very easy to interpret at first glance. Either the number of loans rises, which is usually considered good  , or it falls, right? – Not exactly! Let’s have a closer look at the loans example: Every single user decides, more or less independently of the others, whether to borrow an item or not. The probability of a loan transaction can be influenced by weather, upcoming exams, holidays, opening hours, a cute librarian at the desk and a vast number of other things, but it still is a probability. Let’s assume that all of these influencing factors would not change for two consecutive weeks. By understanding this gedankenexperiment  as stochastic process, the weekly loan count would most likely be different even though the environment did not change. In case this puzzles you: Roll a die twice. The pip count will most likely be different, even though the environment did not change at all. This is quite a disturbing fact in connection with the above loan statistic, because an increase or decrease is not as explicit as we would like. In a large library, tasks are usually assigned to different work groups, each may be responsible for end user interaction, fees, acquisition of new items, application maintenance, web design, database interaction and so on. This leads to the generation of statistics by some IT-related work group for one of the other work groups, especially when data retrieval is non-trivial, for instance when the data has to be retrieved directly from an SQL database. This inevitably results in trouble if the workflows are not accurately defined and maintained. For example, a library may outsource some of its rarely requested items to a depot. This would result in more space for frequently used items, but also in higher transportation costs as well as increased waiting time for the outsourced items. In this scenario there will be a requirement to determine the loan counts of the outsourced items to deduce to determine if an item is loaned often enough to stay at the main library or whether it should be moved to the depot. Somebody not familiar with the workflow would just count the loans on all items. He may not know that the items from the depot, once requested, are loaned on special service accounts to track the transportation process and once they arrive in the main library, moved from the service account to the user’s account when he comes to pick up the item. This means that two loans are registered when an item from the depot is loaned. It is obvious that this has a serious impact on the statistics which are supposed to help with the decision which items should be moved back to the main library. The quintessence here is that people should talk about their workflows and ensure that the staff sticks to them. Some time ago, we had to investigate the user behavior on our WebOPAC to model a benchmark . To design an appropriate benchmark, three things had to be figured out. First we were interested in how many users were using the system simultaneously at a given time of the day, second it was important to know what functions our users were using and third, we had to know how long they were waiting between the clicks. This is referred to as thinking time in the following and is quite important since it has a huge impact in the resource consumption of the system – a shorter thinking time leads to a higher resource consumption. As written above, information about what functions were used and about the thinking time can be found using similar approaches. The use of WebOPAC-functions such as searching, listing records or renewing loans are logged and can therefore be counted using simple shell scripts using awk or grep. The thinking time was investigated by parsing the apache log file where time stamps both session cookies and IP were logged. First, the lines related to the CGI were extracted to remove the noise of images and additional files not relevant for the result. Then, the time stamps and session ids were extracted and the resulting list was sorted using the session id as primary sort key and the time stamp as secondary sort key with lower priority. The time stamps were parsed with R as shown above and the time difference (Δt) in seconds between two consecutive time stamps of the same session id was computed using a for-loop. Statistical analysis was then done on Δt using R functions such as mean() (arithmetic mean) and sd() (standard deviation) as well as the robust counterparts median() and mad() (median absolute deviation). Albeit much can be done with statistics, it is very important to keep in mind the reason why something is done and to ask if the result is really going to be accurate enough. It is important in the same way to verify that work flows are followed and to be aware that even the raw data can contain errors or be misleading. For the other example involving deadly accidents, an increase would be considered bad. Providing a full introduction to Confidence Intervals (CIs) would go beyond the scope of this article. 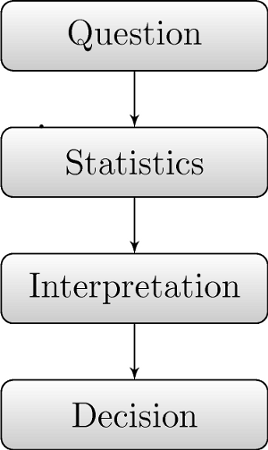 More information on CIs can be found in any introductory book to statistics. It is very important to realize that it is also not possible to state that is wrong with the above calculation only. E16 is the code for the depot library, the rec key identifies the title and the item sequence together with the rec key identifies the item. ALEPH stores title data in a table called z13, hence this request needs an inner join to the z13 table. The actual benchmark was carried out after the user behavior was reconstructed using JMeter from the Apache Jakarta Project. Probably the result of several threads just logging into the file without coordination. One Response to "The Wise Use of Statistics in a Library-Oriented Environment"